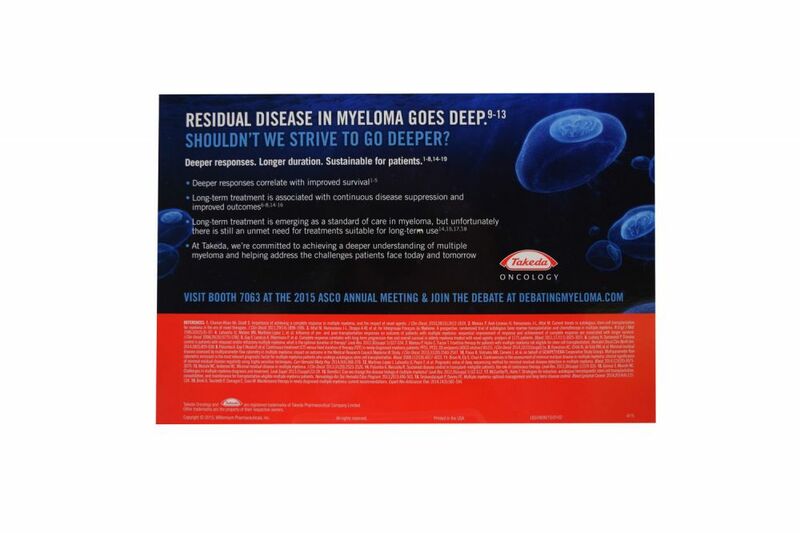 Takeda needed a clever mailer to grab attention and drive traffic to its booth at an upcoming trade show. The marketing team at Takeda loved Americhip’s proprietary water reveal technology which unveils hidden messages when moistened. 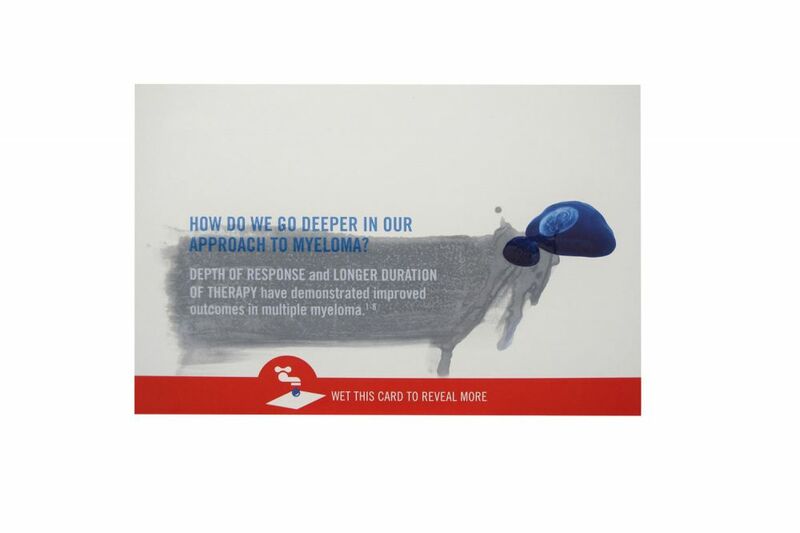 For this campaign, we created a simple post card with a message about Takeda’s approach to research. 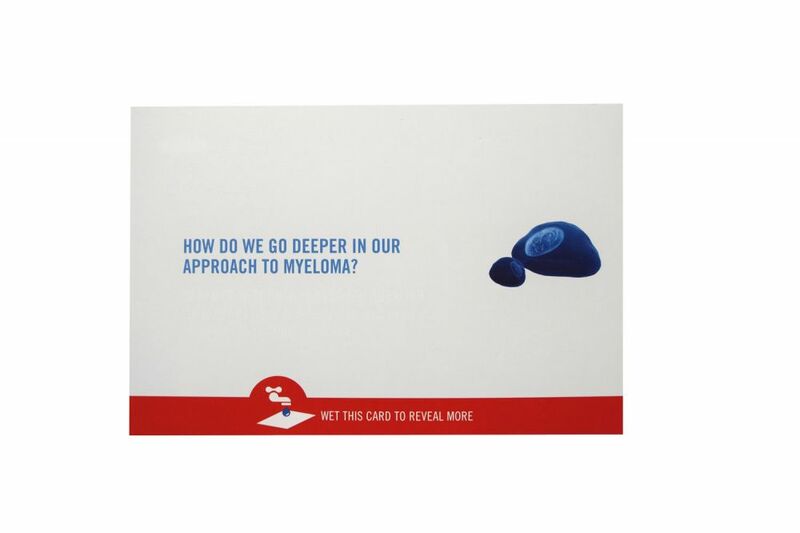 But the simple card turns into a more engaging piece when consumers splash some water onto the card to reveal the success Takeda had achieved in recent studies. 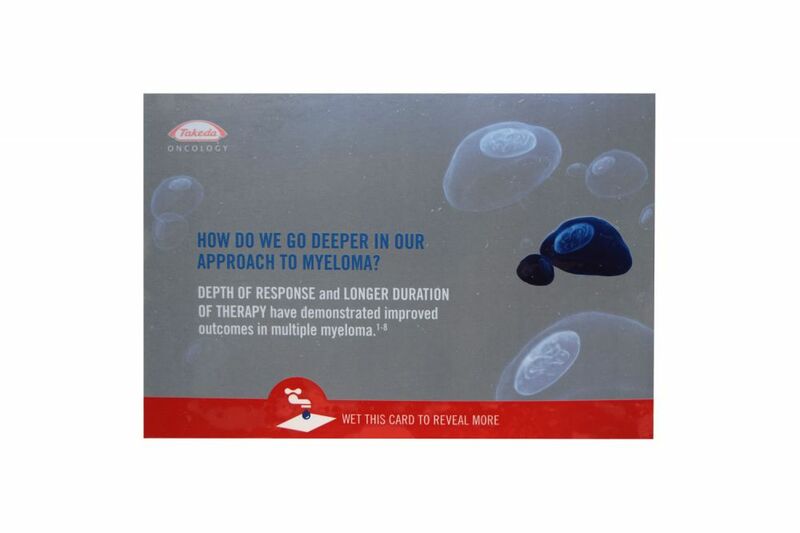 Put Americhip’s Multisensory technologies and specialty materials to work on your next campaign to create a low cost and engaging direct mailer.